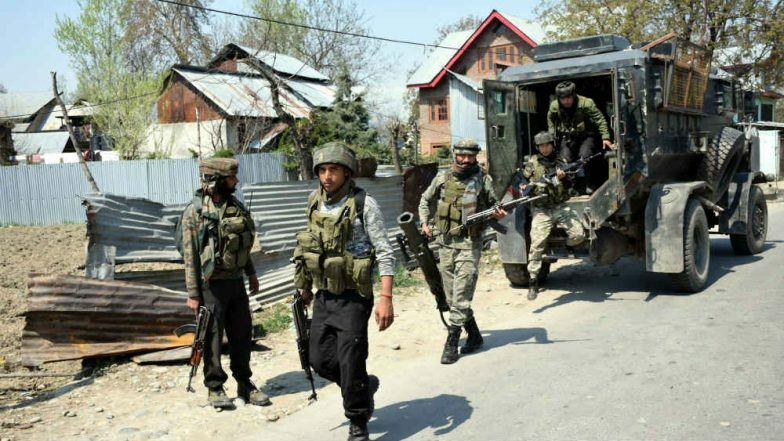 Srinagar, April 17: A sub-divisional Magistrate (SDM) on Tuesday alleged that he was dragged at gunpoint and assaulted by some Army personnel in Dalwach area, in Anantnag district of Jammu and Kashmir. Ghulam Rasool Wani, SDM of Dooru who is also the Assistant Returning Officer (ARO) in South Kashmir for the Lok Sabha elections, said the incident took place on the Srinagar-Qazigund stretch of the National Highway. In his complaint to Station House Officer (SHO) Qazigund, Wani said he along with other officials were stopped at a checkpoint when they were heading to Vessu to meet District Magistrate. "They (Army) had halted traffic on the highway. But when they saw the ‘SDM’ sign on our vehicle, they allowed us to go. We passed three checkpoints, but at the fourth place, a soldier asked us to stop," the SDM told a leading daily. Terrorists Hurl Grenade at National Conference Leader Ashraf Bhatt House. "We immediately stopped. Suddenly, a few Army personnel came and targeted our vehicle. First, they beat up my driver and then they beat us all. They grabbed me by my collar and dragged me on the road for 20 metres. They pointed their guns at me, snatched my cellphone and broke it. They damaged my driver’s phone also. They made the other staff members get out of the vehicle at gunpoint," Wani further alleged. Mehbooba Mufti's Cavalcade Attacked in Anantnag. The SDM also said that the Army personnel vandalised the election material they were carrying. "The Army personnel removed the safety locks of their weapons and aimed their guns at us, threatening to kill us. It was only after the Deputy Commissioner, Anantnag district, intervened that we were set free," he said in his formal complaint. A case has been registered, said Kulgam SP Gurinderpal Singh. Srinagar-based Defence spokesperson Col Rajesh Kalia said the "details of the incident are being ascertained", The Indian Express reported.